At the beginning of the school year, students, staff, and faculty at Conrad Grebel University College in Waterloo, ON took a deep breath and sang together – first in unison, and then in several different parts to build a new melody. The piece called “We all Sing” was written by Grebel Professor Karen Sunabacka and commissioned for the College’s 2018-19 integration initiative. 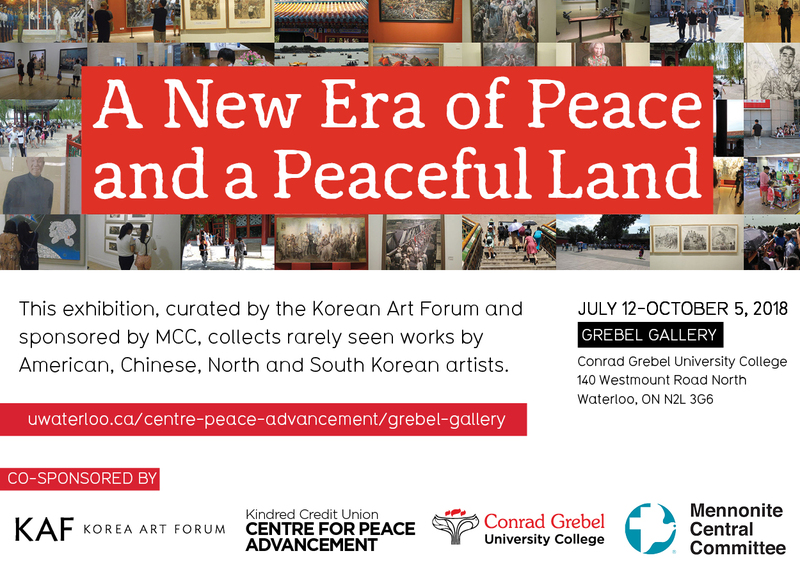 This year marks the fourth year that Grebel has intentionally planned a year-long series of activities intended to offer meaningful ways for the different people and programs of Grebel to interact with one another, and with the University of Waterloo and the broader community. Conrad Grebel University College is pleased to announce an exciting series of public lectures set for 2018-19, on a wide range of topics that reflect the College’s areas of interest and expertise. In April, the University of Waterloo hosted its 10th annual Teaching and Learning Conference. Each year, the conference brings together instructors from a variety of faculties and departments to share research and teaching strategies through interactive workshops and panel discussions. Each April, the community at Conrad Grebel University College gathers together to recognize the achievements of all graduating students who have been involved in the College’s residence or academic programs, at both graduate and undergraduate levels. The Convocation ceremony took a surprise turn this year, as a rare mid-April ice storm shut down the University of Waterloo and Grebel for three days. With the celebration scheduled to take place right in the middle of the storm, the event was cancelled for everyone’s safety. About 70 students and a few of their families held an impromptu gathering at Grebel. This provided an opportunity for them to hear valedictorian Jared Baribeau deliver his address. Jared left Canada the next day to work in Cambodia for Demine Robotics.